Prior to her career in law, Kelly was a 100m sprinter for England. With a dedicated mindset, she likes to ensure transactions complete smoothly and efficiently. 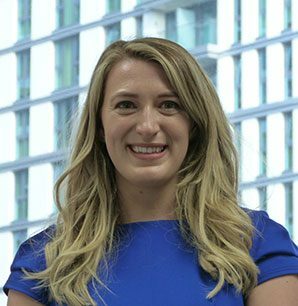 Kelly graduated with an LLB from Brunel University and has previous experience working in both residential and commercial conveyancing. In her spare time, Kelly likes to travel and participate in events for charity such as the Race for Life. She is also extremely passionate about raising awareness and has promoted human rights by climbing Mount Kilimanjaro for charity, as well as volunteering at refugee camps in Athens. Her competitiveness is her strength.